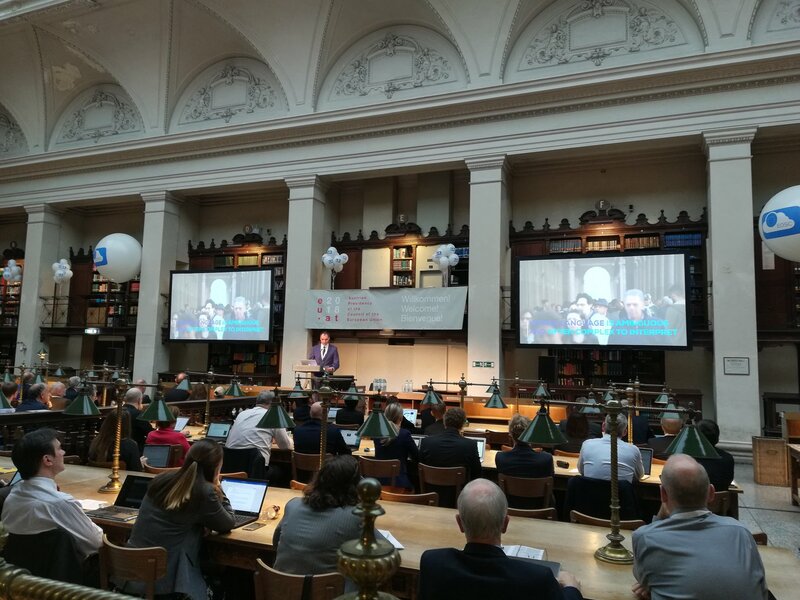 The launch of the European Open Science Cloud (EOSC) took place on 23 November 2018 in Vienna, marking the conclusion of a long process of consultation and reflection with stakeholders, and representing a symbolic start for the EOSC. The event was organized by the Austrian Federal Ministry of Education, Science and Research (BMBWF), University of Vienna, TU Wien and the European Commission. At the event the Vienna Declaration on the European Open Science Cloud Governance Structure was approved. It summarizes the consultation process and the commitments agreed upon by the Member States in the format of various policy documents. It also emphasizes the need to actively support this joint effort to ensure smooth and successful implementation. Read more about the event here. During the event in Vienna a first version of the EOSC Portal, the entry point of the Cloud, was presented and its functionalities explained. On behalf of CLARIN, Dr. Maciej Ogrodniczuk (Institute of Computer Science, Polish Academy of Sciences, CLARIN-PL) demonstrated the integration of the Language Resource Switchboard into the European Open Science Cloud (EOSC). Once fully up and running, the EOSC will offer Europe's 1.7 million researchers and 70 million science and technology professionals a platform to store, share and re-use their data across disciplines and borders. The EOSC Portal-themed booklet was also distributed during the launch, a PDF version of the booklet can be found here. A video recording of the session that included the CLARIN demonstration is available here.